Q: Was there ever a decal like this manufactured with the deer facing the opposite direction? I am building a trailer for my '68 110 and would like both sides facing forward. 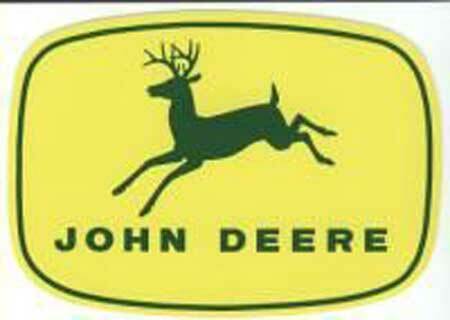 A: No, the Deere logo has always faced as shown since the creation of John Deere itself.